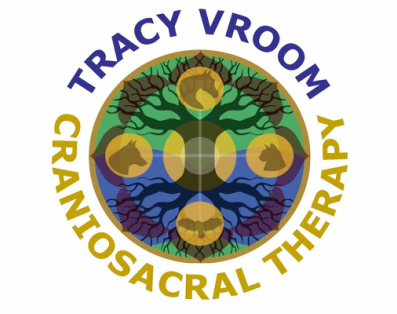 The CranioConnection, founded by Tracy Vroom, has been providing complementary health, healing, and performance solutions specializing in horses and dogs for 19 years. She grew up on a farm in Iowa surrounded by animals of all kinds and today loves sharing her passion and making a difference in the lives of animals and their humans. The CranioConnection offers individual sessions for animals as well as workshops. The equine craniosacral therapy workshop series is a 7 level certification program and the canine craniosacral therapy workshop series is s 5 level certification program. Workshops are being held in CO, CA, OR, PA and Australia. Workshops on shamanic technology, herbal healing and light work are also being offered. In individual sessions, Tracy uses a blended approach of non-invasive, therapies; craniosacral therapy, shamanic healing work, massage, trigger point therapy, the TTouch Method, herbs and essential oils. The sessions help the animal activate their natural ability to heal. This way they come into balance, emotionally, physically, mentally and spiritually in a way that is right for them. After each session we’re looking for improvements in health, performance, movement, flexibility, and emotional balance. She also strongly believes in sharing information and tools with the animal's caretaker and empowering people is a huge part of why she loves this work. Tracy works as a team with the animal's veterinarian and other practitioners toward a common goal of optimal health and longevity. Tracy has been blessed with the opportunity to study and co-teach with many world-renowned pioneers in complementary and holistic medicine. In her quest for learning as much as she possibly can, she has attained a broad range of certifications, including: craniosacral therapy for horses and companion animals (Upledger Institute, Milne Institute, Equine Craniosacral Workshops, Shaman’s Light;) Equine Body Work (specialty in sports massage) the Tellington TTouch Method; Shamanic healing work; Reiki, essential oils and herbalism. She maintains that animals have been her most profound teachers. She has written articles, contributed to several books. Her work has been featured in newspapers and on radio. 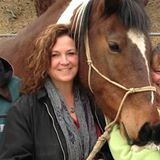 She teaches massage for dogs and horses at the Rocky Mountain School of Animal Acupressure and Massage in Colorado. She is a involved in a non-profit organization, Team Thoroughbred or Team TB. She’s on their board of directors & is a foster home for horses coming in off the track. Their mission is to provide education about holistic practices and help prepare the horses for second careers when the off-the-track-thoroughbreds finish their careers. They do this by bringing them into a holistic rehab and re-training program and placing them in suitable forever homes. She is also on the board of directors for Zuma's Rescue Ranch. She is the caretaker of 3 OTTB’s: Finn, Emmett and Sonqo. She also shares her life with two fabulous dogs, Rowan and Raven, and the sweetest of the kitty clan, Iris and Ash. ©2015 The Cranio Connection by Tracy Vroom, All Rights Reserved.